Do have all the business you want? Are you and your business doing everything you can possibly do generate as many leads as you can, follow-up with those leads and convert them to new business? Most businesses are not. Only 2% of senior marketing leaders consider their existing approach to demand generation highly effective. Yet, 98% of B2B marketers say content marketing is core to their marketing strategy. If you’re not doing everything you can, it’s okay. The world has changed dramatically in the last couple of years with the advances in technology, but the good news is you can use this new technology to your advantage. With all the tools available, it can be daunting to try to enter into the online world and figure out how to be most effective. We’re often asked how to organize all of the strategies in a clear way. Over the years, we’ve fined-tuned the approach into a tool that allows companies to clearly show what they need to grow while organizing their business. 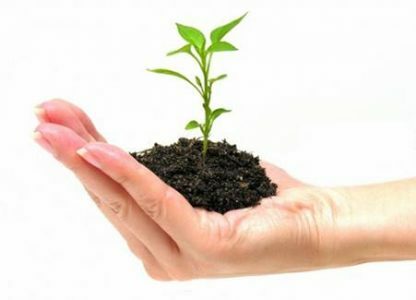 Using this, many of our clients have tripled their new business growth and organized their business – all on one page. 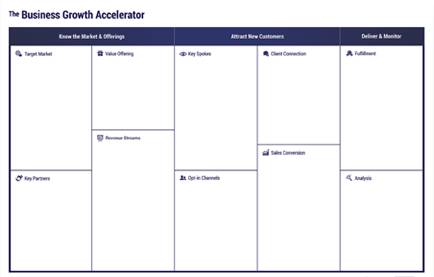 It’s called the Business Growth Accelerator. It’s a simple one-page document that breaks down into three sections: 1) Know the Market and Offerings, 2) Attract New Customers, and 3) Deliver & Monitor. You can download it for free and receive a free video series explaining how it works by requesting it in the sidebar of this page (or at the bottom of the post on mobile browsers). You could use a tool like this, or another the works for you. The point: Take advantage of the tools available now. Take the time to organize your marketing strategy. Take the steps to make it happen and then enjoy your business growth!